An economical but efficient way to identify livestock when tags are not needed for a long term basis. There is plenty of room to customize this tag with large numbers and even additional text on the top or bottom. 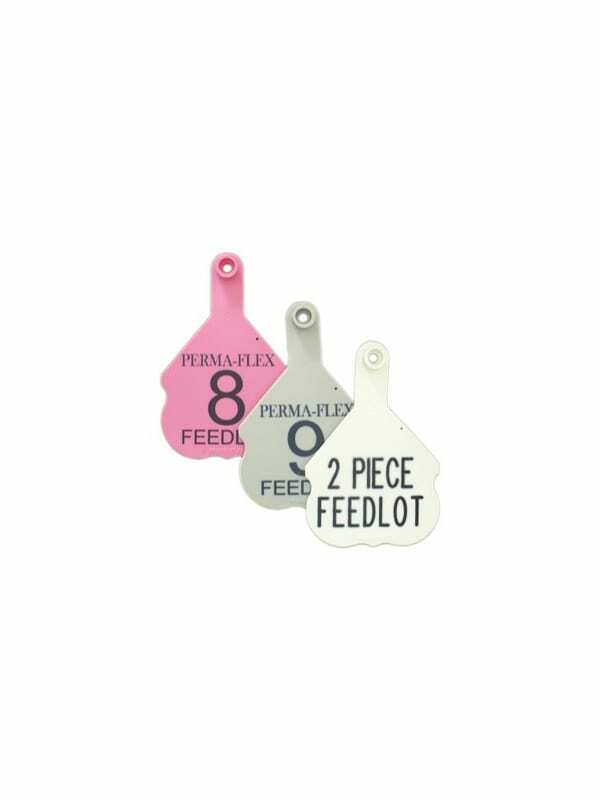 This two-piece style feedlot tag can be used with our standard stud or the snag resistant Daisy stud. Tags come in eleven great colors for even more management options. Customize your numbering system or add additional text by using the optional functions below. Be sure to add the entire range of numbers you need (i.e. 1001-1450). We print all of our tags on a custom basis so you are able to designate whatever numbers you need. Custom printing may take up to 15 working days. This product has additional configuration options that are not available through our online store. 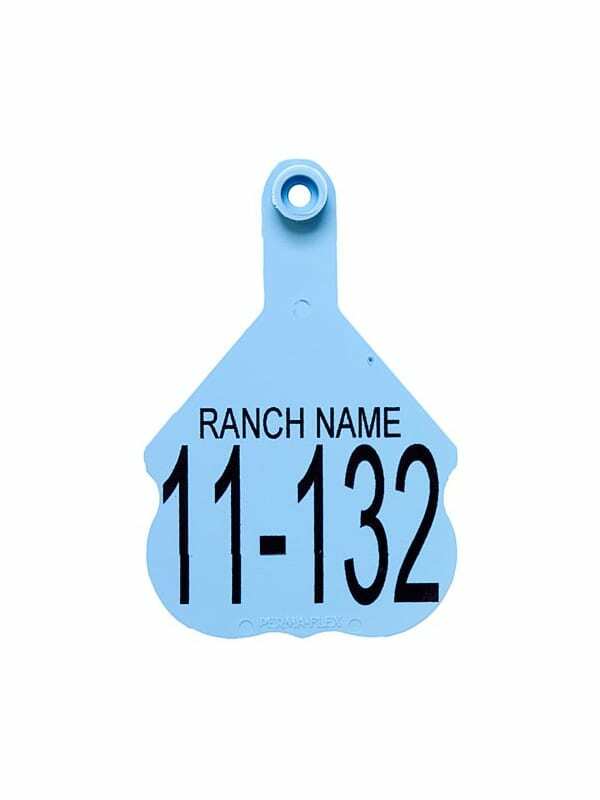 Examples of additional options may be adding a company or ranch logo to an ear tag, adding text or logos to the back of an ear tag, and more. Custom printed tags require up to 15 business days for processing before they are shipped. There is a minimum requirement of 25 tags per copy, with the exception of consecutive numbering. 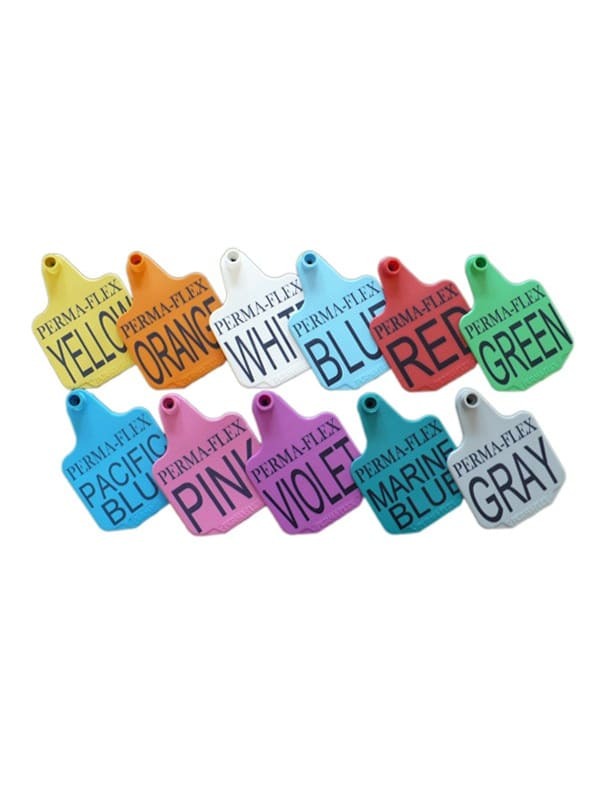 The Perma-Flex two piece feedlot tag is made of the same durable polyurethane as our regular cattle ear tags, but they don't have the same UV stabilizers which gives them a shorter lifespan. 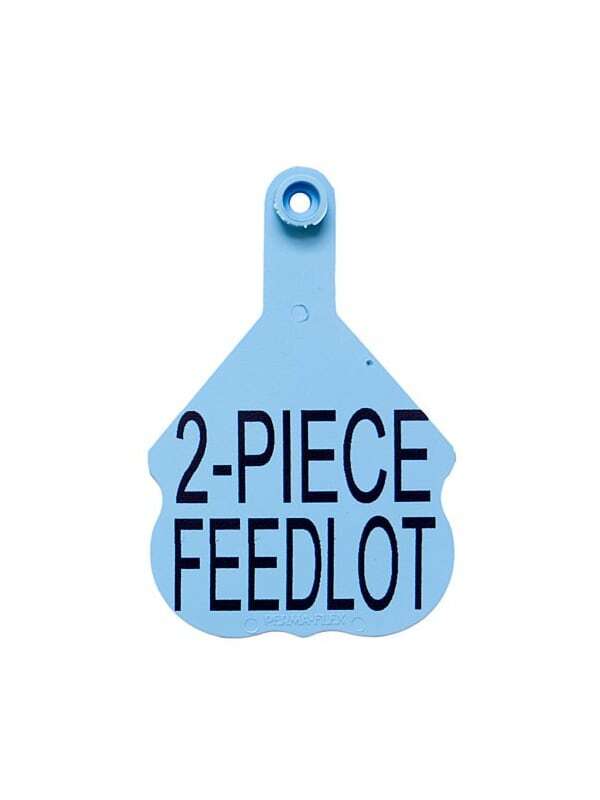 This tag is perfect for feedlots, or when only short term identification is needed. The tag will hold up well for a one year period and can be used with either the standard stud or the snag-resistant Daisy stud. Tag is approximately 2 7/8" at widest point (note shape of tag) and 4" from bottom to top of neck.